Depression affects millions of people in the United States, including children, teens, adults, and seniors. The problem can range from mild depression to a serious problem, known as clinical depression or major depressive disorder. Treatment options for depression may include prescription drugs, therapy, and natural methods for alleviating depression. What are Selective Serotonin Reuptake Inhibitors? Selective Serotonin Reuptake Inhibitors (SSRI) block receptors in the brain cells, which are responsible for reabsorbing serotonin. This provides more of this chemical in the brain for sending messages in the brain and improving mood. Although these medications are common, there is concern that they are too easily prescribed for mild depression. A variety of SSRI medications are prescribed to millions of people. 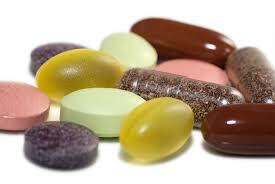 Some of the common drugs include Prozac, Zoloft, Paxil, Lexapro, Celexa, and others. The drug selected depends on several factors, such as the age of the patient, severity of the condition, and response to other medications that may have been prescribed in the past. In addition to clinical depression, these medications are also prescribed for anxiety disorders, panic disorders, OCD, PTSD, and eating disorders. The side effects of these drugs may include photosensitivity, an increased risk of bone fractures, sexual dysfunction, and thoughts of suicide or suicidal actions. Reviews of research into these medications has demonstrated that these drugs have no benefit compared to placebos for mild and moderate depression, so many feel that risking the side effects is not necessary, unless the problem is severe. Pills aren’t your only option for treating depression. There are several natural ways to enhance mood and reduce depression. You can try sticking to a daily routine, goal setting, getting more physical activity, and eating a healthy diet. When negative thoughts occur, challenge those thoughts to begin changing your thought processes. Moving your body can also help, whether by running, dancing, sports, yoga, or other activities that you enjoy. For some people, natural supplements provide benefits for stabilizing moods. Several of the supplements that are sold for brain health offer mood enhancing benefits, as well as improving memory and concentration. These products contain quality ingredients that are known to boost mood and cognitive function. You can discover the most effective products by reading supplement reviews at Brain Enhancement Advisor.